Grown in our southern New Jersey vineyards, this mysteriously named ancient vinifera variety is reputed to originate from the Caucasus Mountains bordering Armenia, the smallest of the former Soviet Republics. Known at one time to be the third most planted varietal in the world, Rkatsiteli produces wines that are spicy with underlying hints of pear. The Rkatsiteli pairs exceedingly well with spicy dishes and is a great alternative for Riesling or Moscato style wines. Grown in our Southern New Jersey vineyards, this mysteriously named ancient vinifera variety is reputed to originate from the Caucasus Mountains bordering Armenia --the smallest of the former Soviet Republics. 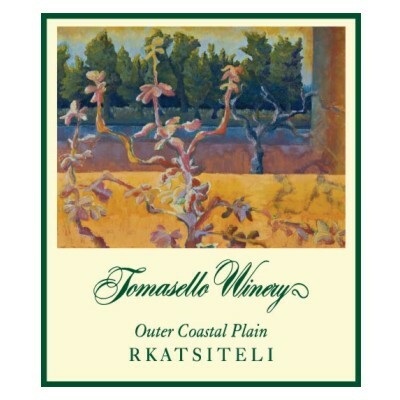 Known at one time to be the third most planted varietal in the world, Rkatsiteli produces wines that are spicy with underlying hints of pear. The Rkatsiteli pairs exceedingly well with spicy dishes and is a great alternative for Riesling or Moscato style wines.